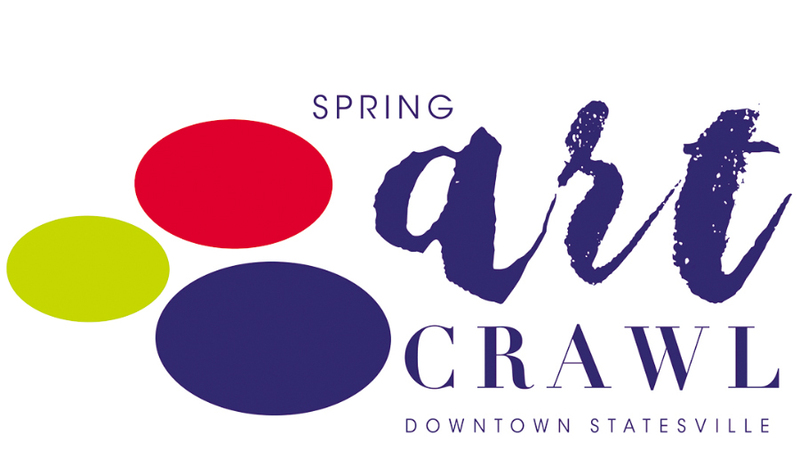 Statesville, NC – The Spring Art Crawl is set for Friday, April 27, from 5:30 pm – 8:30 pm and we are looking for artists to exhibit their work! The Spring Art Crawl will highlight more than 40 artists in over 30 different galleries, shops, and businesses scattered throughout the heart of Downtown Statesville. The concept is simple – come downtown and walk from location to location, enjoy music, meet the artists and enjoy their work (maybe make a purchase), browse through the shops hosting the artists, and stay late for live music, food, and drinks at one of our many restaurants and bars. · Download the PDF application from our website (w.downtownstatesvillenc.org/art-crawls/), complete electronically and email to info@downtownstatesvillenc.org. 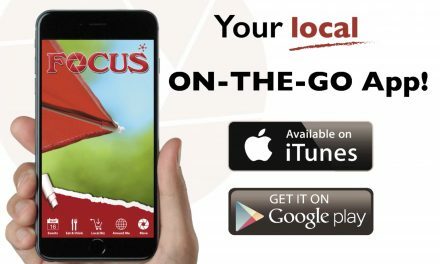 · Download and print the PDF Application from our website (www.downtownstatesvillenc.org/art-crawls/) and return to our office directly at Downtown Statesville Development Corporation (located at 112 S. Center Street), or mail it to PO Box 205, Statesville, NC 28687. Please be sure to include the $20 artist fee with a check payable to Downtown Statesville Development Corporation, or pay online at www.downtownstatesvillenc.org/tickets/. We look forward to seeing the talent in and around our community! 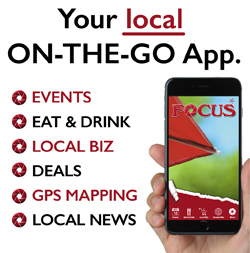 Get the FREE FOCUS App Today!